The city of Ralston voted to use lottery funds towards the struggling arena yet again, just as new management takes over the arena. OMAHA, Neb. 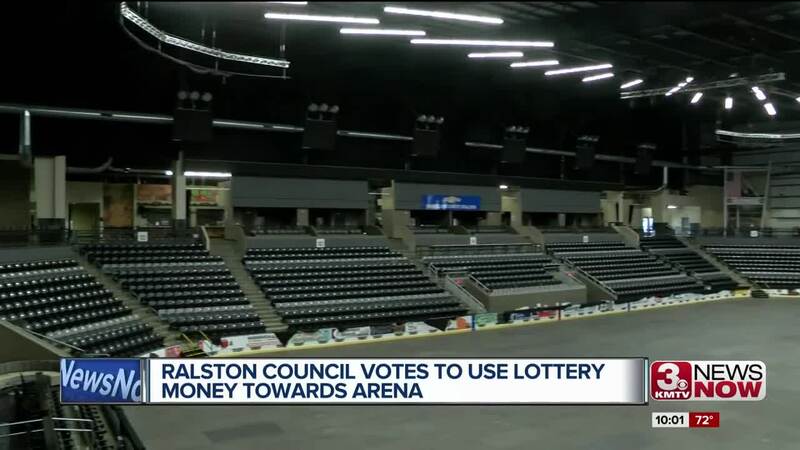 (KMTV) — With a super-majority of the city council voting in favor, the city of Ralston will be using $750,000 in lottery money to pay off arena expenses. "It's disturbing to have to spend the extra funds all the time, but we gotta do what we've got to do to keep that arena running and looking nice," says Mayor Don Groesser. A part of the money approved by the council is going to go towards fixing the arena parking lot, which has been crumbling for a over year. The money will also go towards paying off former arena employees, many of which now work for Spectra, who took over the arena this month. To approve the money, five of six members voted yes. One councilmember Ben Preis, is concerned the money isn't going towards tax relief, which is what it's required to be used for. "We're taking what we're using it for and calling it tax relief. To me it looks more like correction for mis-preparedness in the budget year,” says Preis. "I think the city attorney knows exactly how we can spend our lottery funds,” says Groesser. New manager under Spectra, Brian Kajewski is optimistic things can turn around, he thinks the arena can find a niche in the crowded metro market. "This market is missing that 25, to 31, 34 (hundred) capacity room where some of these up and coming artists can play, where we can keep expenses low that make it attractive for the promoters and make some money on the other side,” says Krajewski. Along with limiting expenses, one key is find sponsors, specifically naming rights for the arena, something the city wasn't able to sell. "The main thing is getting the shows in there and then that stuff will happen, it's just making sure we're doing everything we can to make sure the building is seen in a positive light,” says Krajewski. Krajewski also says Spectra is adding employees to the arena and it'll be fully staff by the end of the month.